Asa Griggs Candler (December 30, 1851 – March 12, 1929) was an American business tycoon who established the Hartsfield-Jackson Atlanta International Airport, was named after him, as is Candler Park in Atlanta. 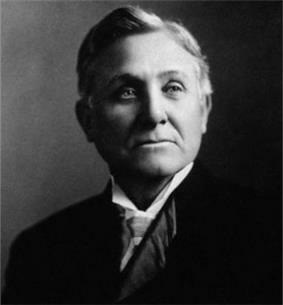 Candler was born on December 30, 1851 in Warren Akin Candler, who became president of Emory. 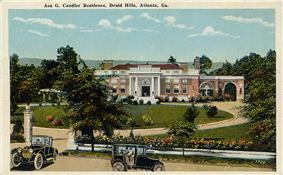 Candler also gave millions to what would later become Emory Hospital. The school's original library now houses classrooms and a reading room named for him, as well as endowed chairs in the school's chemistry department. Candler was elected mayor of Atlanta in 1916 (taking office in 1917) and ended his day-to-day management of the Coca-Cola Company. As mayor he balanced the city budget and coordinated rebuilding efforts after the Druid Hills holdings to the City of Atlanta for what became Candler Park. 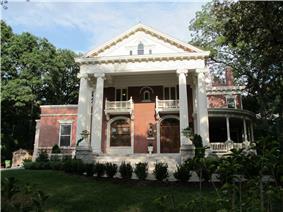 Asa's eldest son, Druid Hills, now a fine arts center. ^ Bonner, James C. Georgia's Last Frontier: The Development of Caroll County. Retrieved October 2013. ^ Kemp, Kathryn W. (2002-09-03). "Asa Candler (1851-1929)". New Georgia Encyclopedia. Georgia Humanities Council. Archived from the original on 2007-11-13. Retrieved 2009-01-16. Kemp, Kathryn W. (2002). God's Capitalist: Asa Candler of Coca-Cola. Macon, GA: Mercer University Press. Allen, Frederick (1994). Secret Formula: How Brilliant Marketing and Relentless Salesmanship Made Coca-Cola the Best-Known Product in the World. New York: HarperBusiness. Candler, Charles Howard (1950). Asa Griggs Candler. Georgia: Emory University.